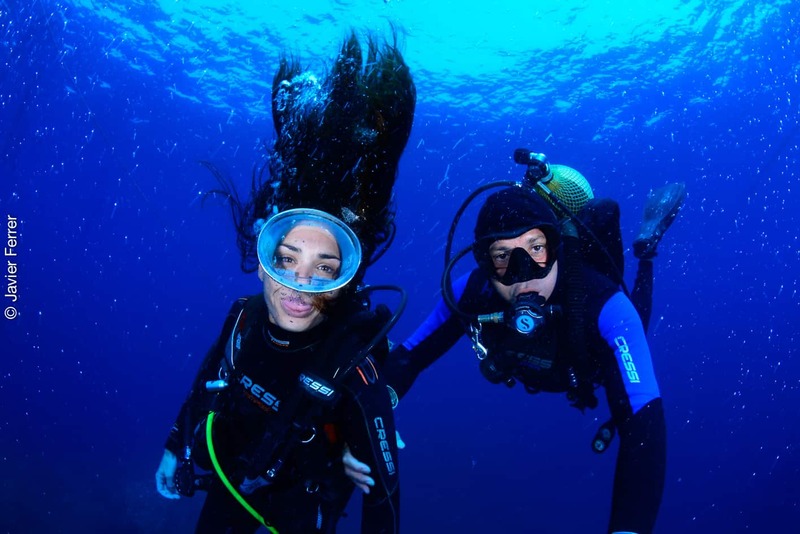 A perfect experience for those who have never dived and / or do not have a diving certification. A shallow dive guided by an instructor who will accompany you throughout the experience making sure you enjoy a safe and enjoyable dive. You will discover sensations like weightlessness, breathing with autonomous equipment and enjoying the underwater world. After a theoretical introduction to the activity we will equip ourselves and go to an ideal place for scuba diving (depending on the conditions of the day). We will dive with autonomous equipment guided by an instructor in a ratio of 1:2. Once the immersion is over we will return to the centre to take a shower and put away the equipment. The entire activity will last three hours, of which approximately 40 minutes will be in the water. Fill out the booking request form. Our team will contact you as soon as possible to confirm your booking.